QUEENSLAND swimming sisters Cate and Bronte Campbell have taken to Instagram to confirm their move to Sydney ahead of the Tokyo Olympics. News Corp Australia broke the news on Friday that the sprint sisters would move to Sydney with coach Simon Cusack, who has been poached by the NSW Institute of Sport to help revive the state's declining swimming status. Cusack will drive the pair's 2020 Olympic program from the Northern Metro Hub, where a new high performance program will run in a partnership between Swimming Australia, NSWIS, Pymble Ladies' College and Knox Grammar School. Cusack and his squad will begin training in Sydney in January. Swimming Australia sees re-establishing NSW as a swimming power as vital for the wider success of the sport. Just two of the athletes in Australia's team for the Pan Pacs in Japan last month were from NSW - with 25 from Queensland. Australia's two individual gold medallists at the Rio Olympics, Mack Horton and Kyle Chalmers, were based in Victoria and South Australia. Cusack is widely regarded as one of the best sprint coaches in the world and is a major loss to Swimming Queensland, although the state still boasts a wealth of elite coaches and programs. 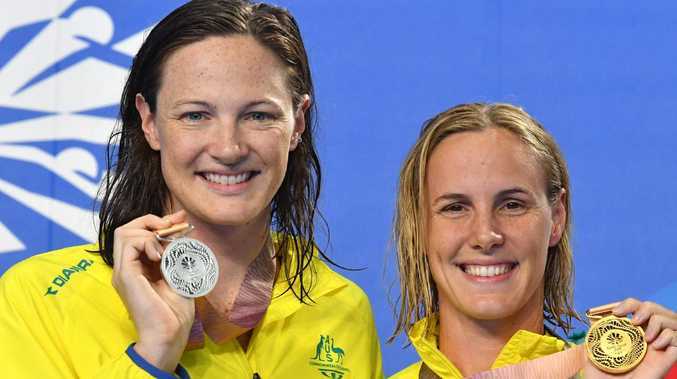 Cate Campbell, who returned from the Pan Pacs with five gold medals last month having banished her Rio demons, confirmed the move on Instagram. Bronte Campbell, who has just returned to the pool following a break to ease pressure on hip, shoulder and back problems, also confirmed her move on Instagram. Swimming Australia's chief strategist for high performance, Alex Baumann, said the national body identified there had to be "some intervention in NSW" and the state had a vital role to play in the sport's future success. "NSW leads the way in swimming participation numbers," Baumann said. "We've identified the need to increase the state's overall progression rates of young talent into elite programs and the new hub will certainly help deliver this objective. "If NSW are performing well, the whole nation will benefit on a competitive level, thus we look forward to the implementation of the Northern Metro Hub."